USB GPS Tracker to take with you everywhere. This small GPS Tracker slips into a pocket or a bag. The GPS Tracker automatically sends its position to the servers jelocalises when it moves. You can track the movement of your tracker from your computer or smartphone in real time and view the history of all trips. The GPS Tracker is sent to you ready for operation, once your subscription activated it is operational. 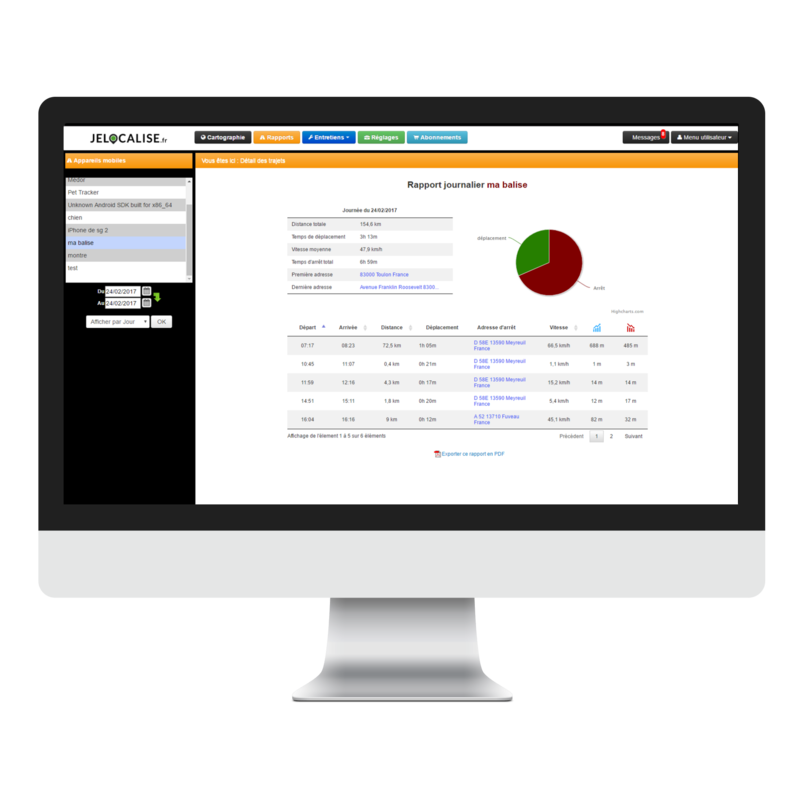 Detailed reports with statistical tables of all the journeys of your tracker are available from your customer area and can also be exported in PDF format.